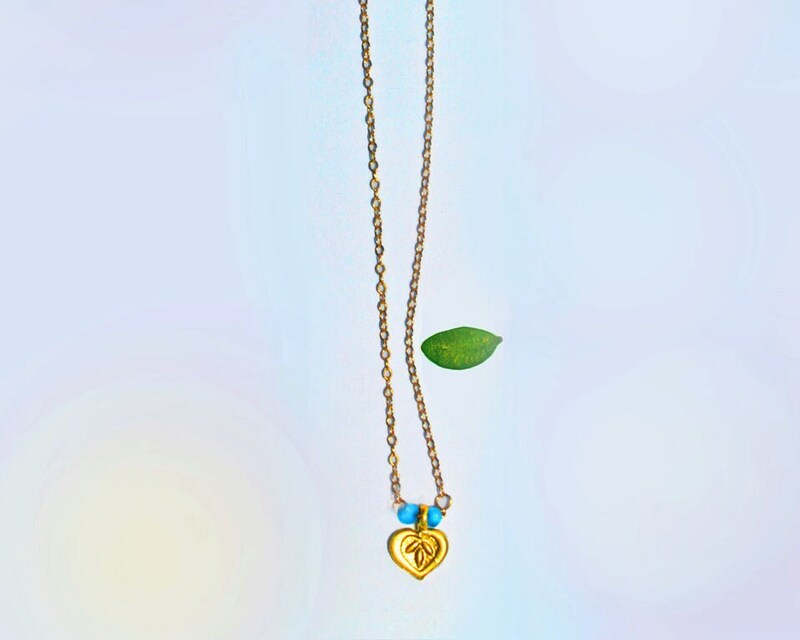 Vermeil Lotus Necklace with Tiny Turquoise Rondelles on a Gold Filled Chain. 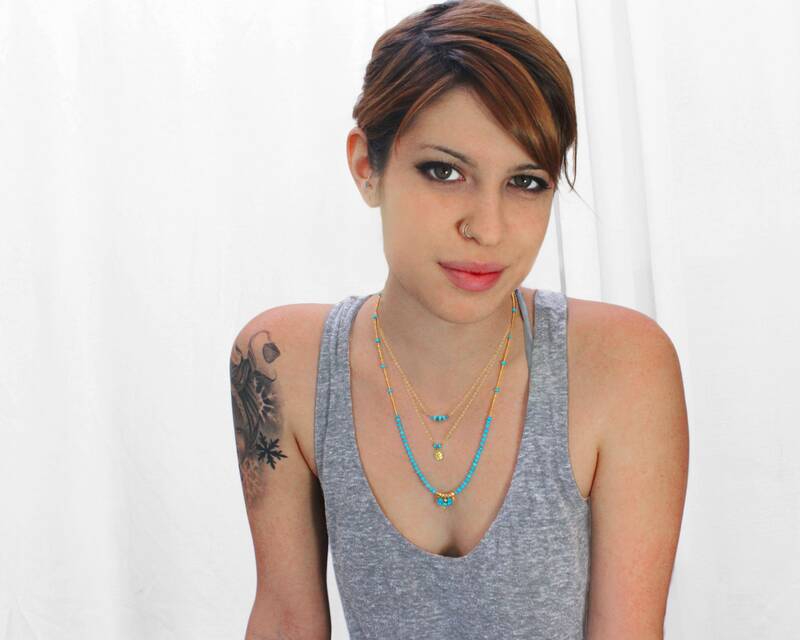 Very pretty and delicate. 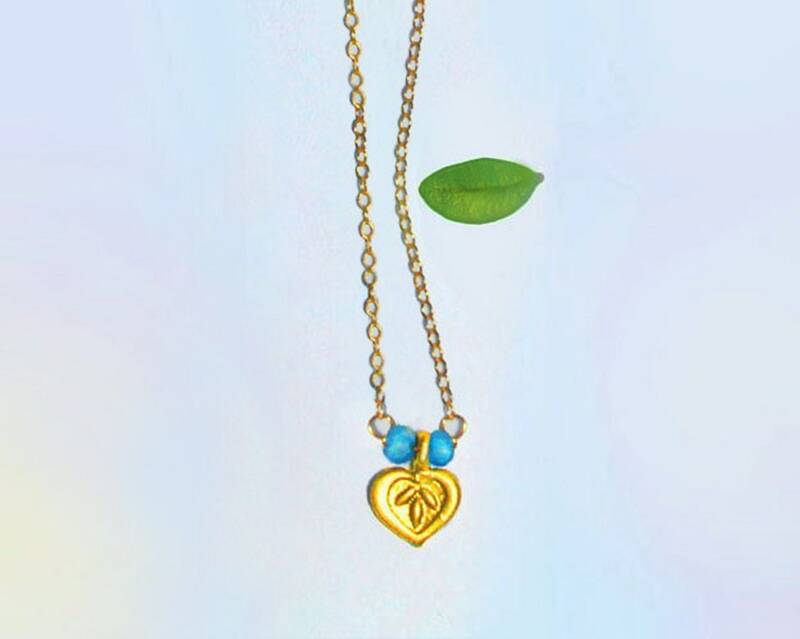 A Thai Vermeil lotus charm, tiny Turquoise details and a Gold Filled chain, put them together and you have the perfect simple understated necklace great for layering and looks great with yoga pants or a party dress.